At first glance, Sebastian is the epitome of a perfect, genteel Victorian butler. He completes every duty with ease and to very high standard, to the point where he often ends up having to cover for his colleague’s mistakes – there is nothing that he cannot do. 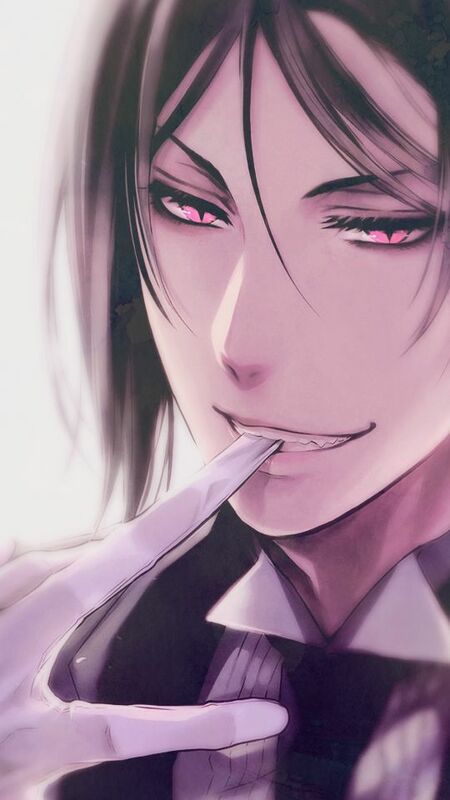 However, in reality Sebastian is a demon who formed a contract with Ciel and he aids his master in all missions with an efficient and frequently cruel nature. Despite his fierce nature as a demon, Sebastian has a soft spot for cats since they are cute and never complain about useless things. Sebastian is simply one hell of a character and definitely one hell of a butler. I haven't finished watching all the seasons of him yet but he is already the ultimate character. He can cook, make amazing pudding, play the violin and can also probably stab you in the forehead with a butter knife. He's like an anime John Wick except more sadistic and also cocky. Normally I hate arrogant characters but Sebastian is just the righttttt amount of cocky and suave at the same time. Do you see this beautiful face!? He's just Too much !! Kyaaa!! He's not a Gary Stu you guys are just mean.